Burials of the church members were also shared by the churchyards. The first known burials in this cemetery were made in February of 1857. These interments – both of young children – were made on the land of one of the original ministers of this congregation, Joseph Rittenhouse. In all, about a dozen burials were made here before the formal deeding of any land to the church. These include members of the Browand, Bollinger, Rittenhouse, England, Woods, and Hartel families. This oldest part of the cemetery was about a third of an acre and laid out in seven rows of lots. Given that no original records exist for this area of the cemetery, we can only guess on the details of its composition. It was split into two parts – north and south – which are separated by a lane. By examining the headstone groupings, each row in the north half looks like it was made up of three burial lots. These lots are about ten feet long by twelve feet wide with probably four gravesites. The headstone groupings in the south half look as though each row was made up of four burial lots. The south end is also slightly longer than the north part. Each of these lots is also about ten feet long by twelve feet wide with probably four gravesites. These measurements are approximations and do not allow for any walkways that might have existed between the rows. These expansions to the cemetery were laid out differently from each other. On the south end, five rows of two lots each were added. These lots did not line up with the existing lot rows of the old cemetery. Each lot was about eight feet long and sixteen feet wide and probably setup for four gravesites. Between each row of lots was a walkway. The western addition was laid out as three rows of burials lots. The lots of the westernmost row were about ten feet long by about sixteen feet wide and probably setup for four gravesites. The other two rows were laid out with larger lots of about sixteen feet long and sixteen feet wide. These larger lots were likely setup for eight gravesites – laid out in two rows of four graves. Between each of these rows was a walkway. The center lane dividing the old cemetery was extended through this addition also. It is not known whether any lot numbering system had been used prior to these additions but, if there was, those records were likely lost. Sometime after the additions we see that the lots were numbered beginning with the lot in the northwest corner and running south in each row. The same pattern continues as you move row by row eastward although the new additions were numbered first before doing the same with the old cemetery. While the church continues to operate today, the cemetery itself has mostly ceased to be used. Any original cemetery records were lost years ago and only the occasional burial has been permitted on known family lots. An unused area in the southeast corner of the cemetery that was not plotted has been used for a few recent interments. This area is referred to – unofficially – as Lot 61 in the burial listings here. The burial listings were recreated using the remaining headstones, some obituaries and death records, along with the WPA map. On Christmas Eve night of 2006, a fire completely destroyed the church. The church was rebuilt the following year – just down the road to the east – and rededicated on July 20, 2008. 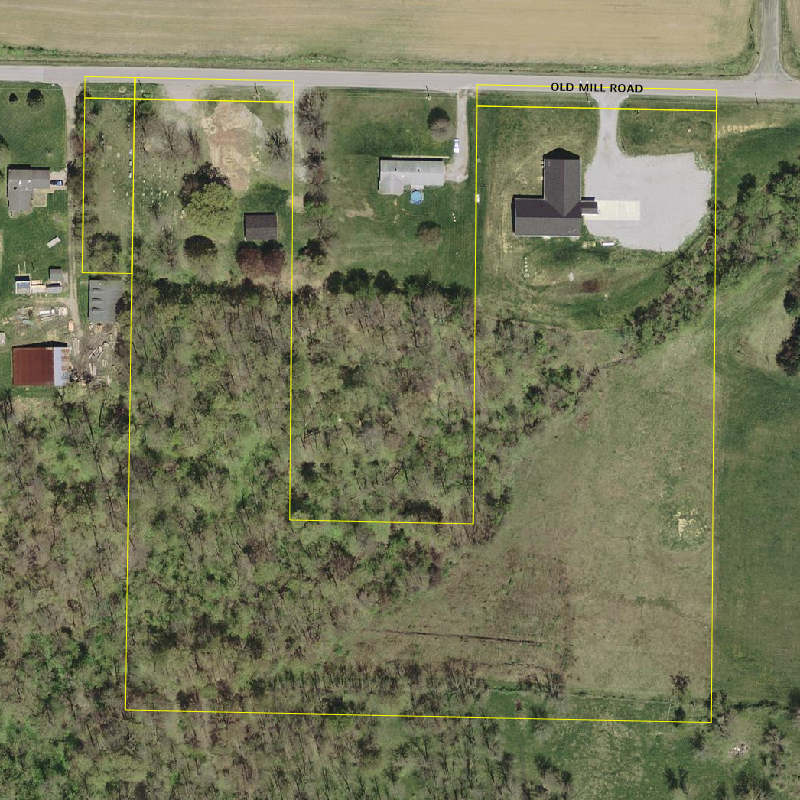 The church has added additional land holdings over the years and now owns a total of 14.83 acres.